As seen throughout Norse magick practices, galdr is a song or spell. It is very similar in origin and meaning to the English words "enchant" and "incantation". Galdr is a type of verbal, and often ceremonial magick. 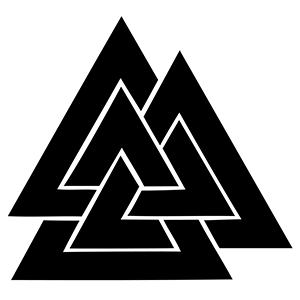 Most commonly used and known for "calling the runes" and similar aspects to that. It's thought that these types of spells were originally sung in falsetto. Though now they are sung however the singer wishes. Val-galdr is a type of galdr that deals in death. These types of incantations/verbal spells are used to "wake" the dead and learn from them. (Invoking the spirit of a dead person. It was also common for Shamans in the North to "fare forth" to the land of the dead in order to learn something, thus I personally think val-galdr could be used either while "faring forth" or while getting into the trance as preparation). The way this was done is very vague, as you can imagine, due to the lack of writing out there available for it. Aside from the verbal summoning, which was done through chanting of the runes as well as impromptu verse, there were other things associated with the rites involved in val-galdr. Runes were carved on chips and placed under the tongue of a corpse, ( as if to prompt them to speak) if the practitioner was working with a dead body and that specific spirit. These were called val-runar, or "death runes". They're very vague, as I said. Sometimes the word "helliruna" pops up. This is referring to the singing in said heathen fashion on graves/barrows to make the dead "wake" and "speak". Helliruna sometimes also refers to something known as "Hel runes". I tend to associate "Hel runes" with "Death runes". Both of these areas are rather vague, and not a lot of information on either of them is to be found. Kudos to anyone who can find more sources on this. Im trying to find someone who still knows the oral stories regarding this. Why baleful dreams to Baldr had come. And the hound he met that came from hell. Till the house so high of Hel he reached. That has made me travel the troublous road? And drenched with dew; long was I dead." I think it is important to note the differences between necromancy in general and val-galdr. While many of the stories and lays tell of raising the dead, most of us do not take it literally and we view it as symbolic. Val-galdr, and similar forms of this type of magick, are invoking the spirits of the deceased. The purpose behind val-galdr is divination. Whereas one could "soul travel" (the "Faring forth" I mentioned earlier) one could also "call" the dead through other means. Throughout my experimental usage of val-galdr, I have decidedly combined it with seidr to make it more effective. While the verbal calling is a large aspect of it, I do not feel comfortable using the death runes and whatnot simply due to my lack of an understanding about them. Faring forth, in my case, combined with val-galdr is an excellent form of divination.